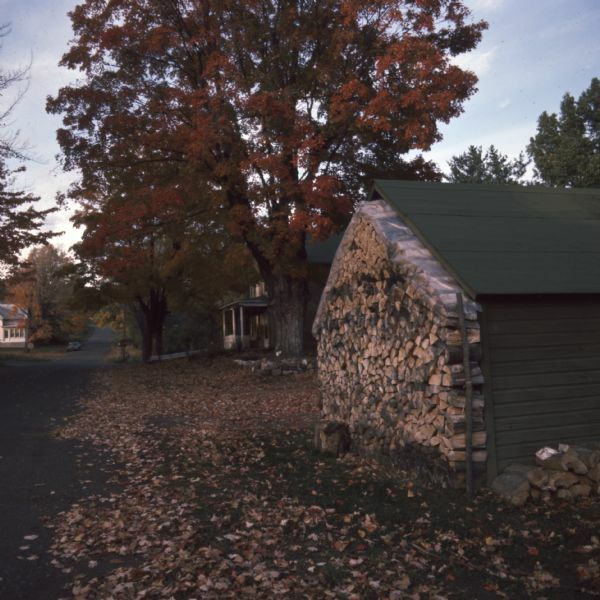 A stack of firewood, covered at the top with plastic, is against the exterior wall of a small wood building. In the background is a tree with red leaves in fall color in front of a house. A road is on the left.